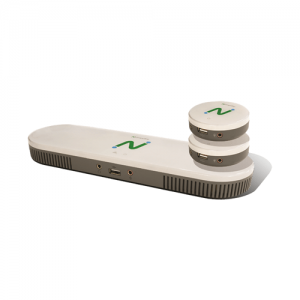 NComputing has delivered more than 2.5 million low-cost access devices worldwide. 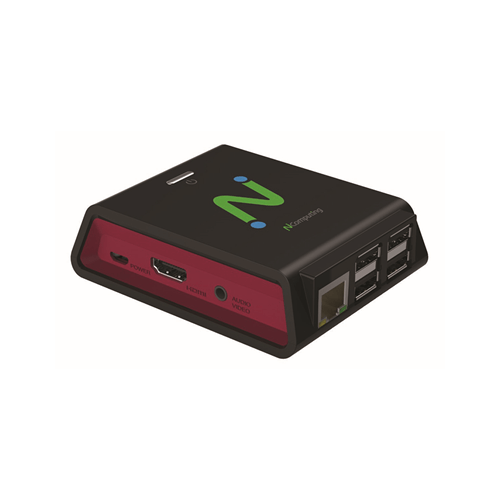 RX300 thin client is our newest generation thin client, built on the latest Raspberry Pi 3 platform, delivering productivity with PC-like performance and affordability making it ideal for SMB and education markets. 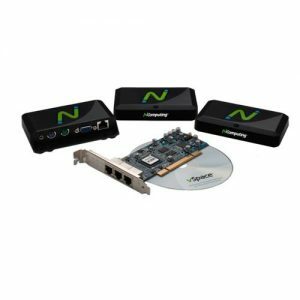 Designed and optimized specifically for NComputing’s award-winning vSpace Pro desktop virtualization solution, RX300 is cloud-ready and provides a rich full-screen experience. RX300 features include full-motion HD multimedia playback with vCAST direct streaming technology support, built-in transparent USB redirection achieving unparalleled peripheral support, WiFi, and optional access to Linux Raspbian OS managed by the IT admin. RX300 provides organizations with a simple-to-deploy, centrally managed, high performance, PC-like virtual desktop computing experience. vCAST reduces the overall server-side CPU usage for web videos like YouTube or local media content without the need for expensive GPUs. This allows for higher quality media streaming utilizing the network bandwidth without server CPU bottlenecks, thereby supporting more concurrent users. RX300 comes equipped with both a ‘Thin Client Mode’ and ‘Application Mode.’ Use the RX300 as a locked down thin client with connections to vSpace Pro 10 and Verde VDI, or as a Raspberry Pi 3 device allowing direct access to Linux Raspbian OS and its popular education applications (Minecraft), how-to-code applications (Python and Java) and productivity tools. RX300 comes with a 1-year software connection license to vSpace Pro 10 desktop virtualization software, and a 6-month trial of vCAST Streaming technology. Software connection license renewal for vSpace Pro 10 is required for subsequent year(s). KIT CONTENTS Each RX300 kit includes 1 access device, 1 power supply, vSpace Pro 10 1-year connection license bundle, 1 internal 8GB SD card and a Quick Installation Guide. 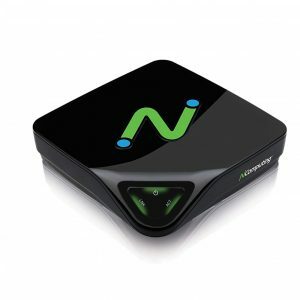 • All USB ports provide full USB redirection, utilizing device drivers from the server.